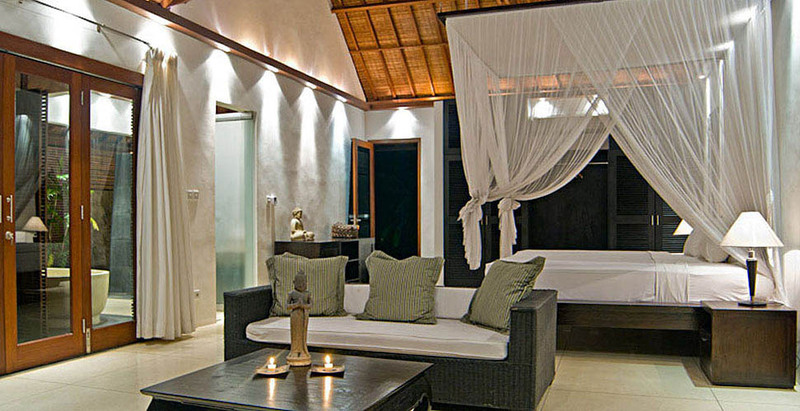 The villa Maya retreat is a surprising house. 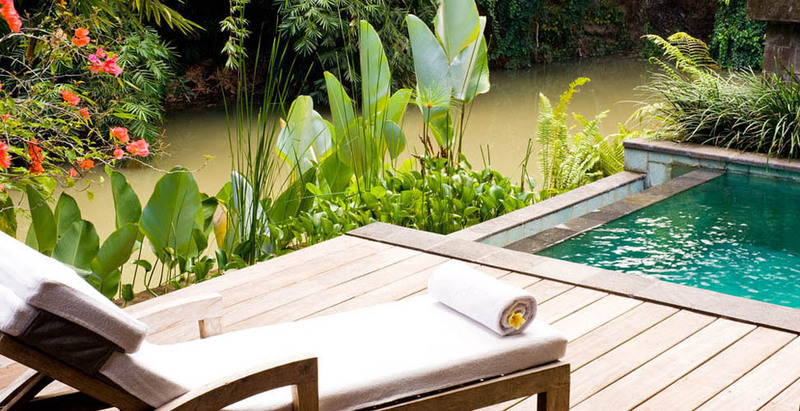 This renting is installed at the edge of a river on a 5 000 sqm of land. 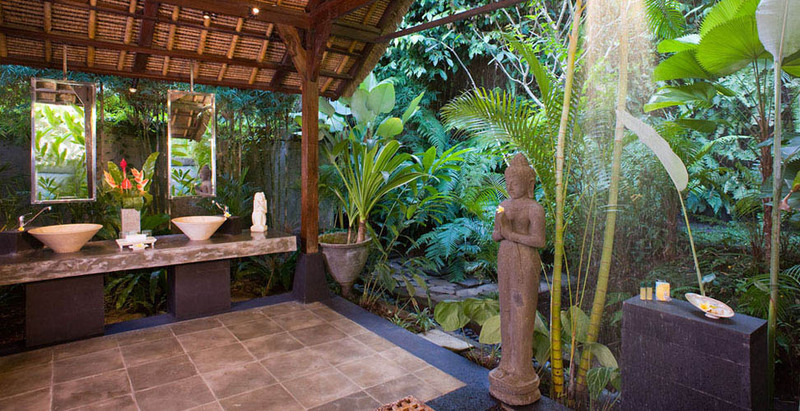 Thus, this property is ideal to host a family or a group of friends in Bali. 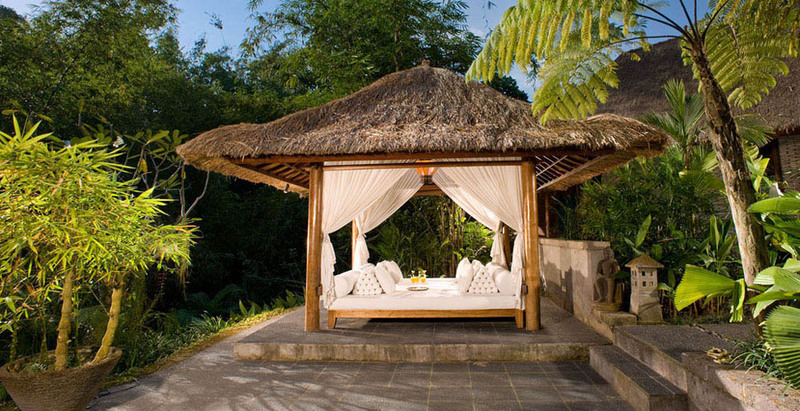 It is the partner of unforgettable holidays. 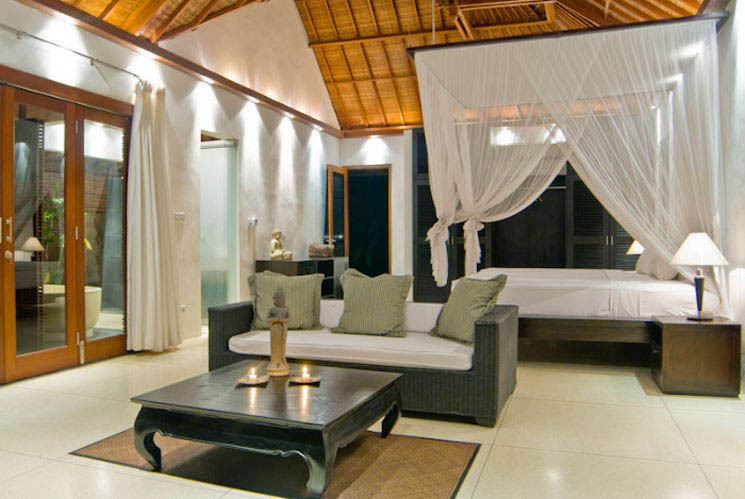 It also provides luxury, comfort and intimacy during all your stay. 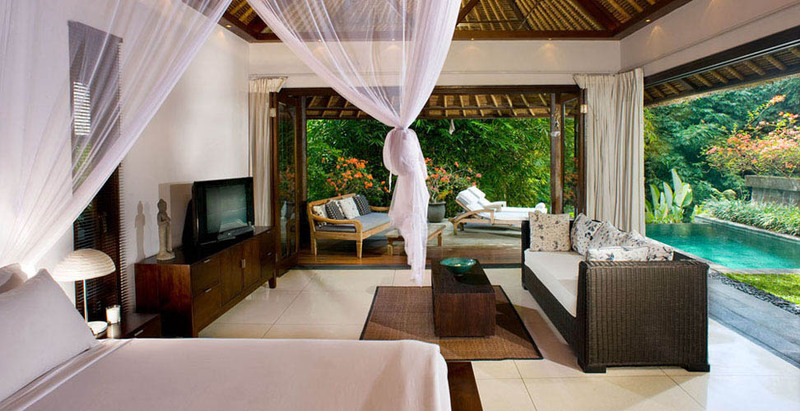 This villa in Bali have 6 bedrooms at your disposal accommodating up to 12 persons. They are divided on all the property and all have their own bathroom and a terrace. 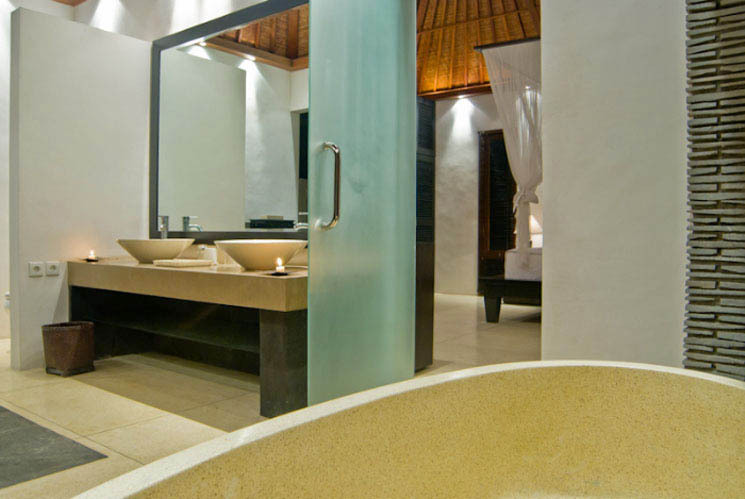 Three are placed next to the river, two have a little plunge pool and the last one provides the both speciality features. 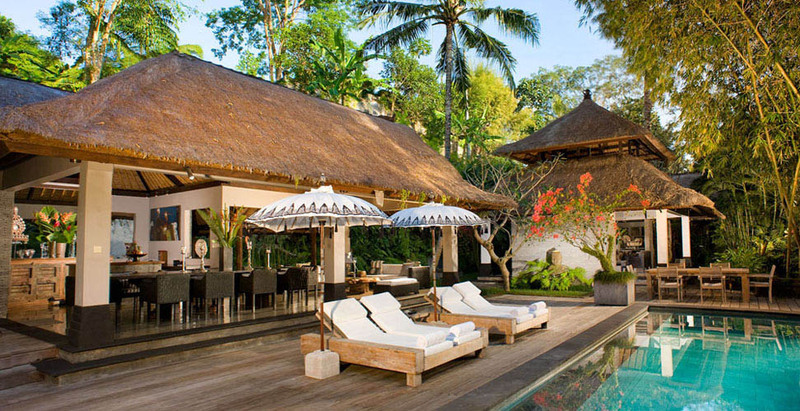 Regarding the main pavilion, it includes an open-sided dining and living rooms, an outdoor dining and living area, a gazebo, a 12 meters long swimming pool and a terrace. 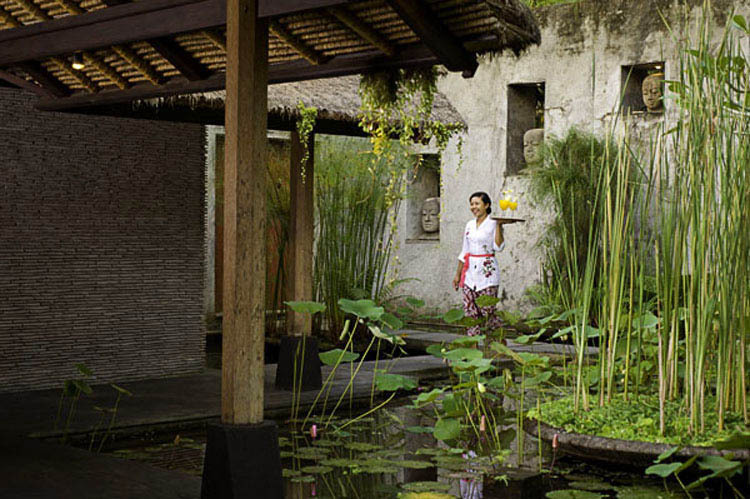 Moreover, the house is embellished with ponds. 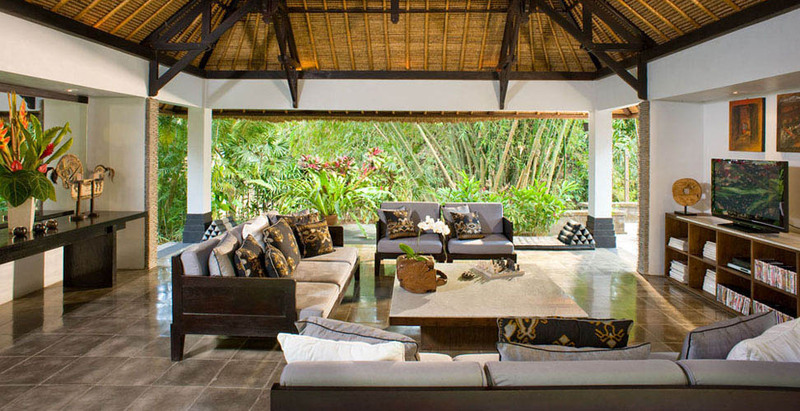 This dwelling for rent makes you benefit from house staff services. 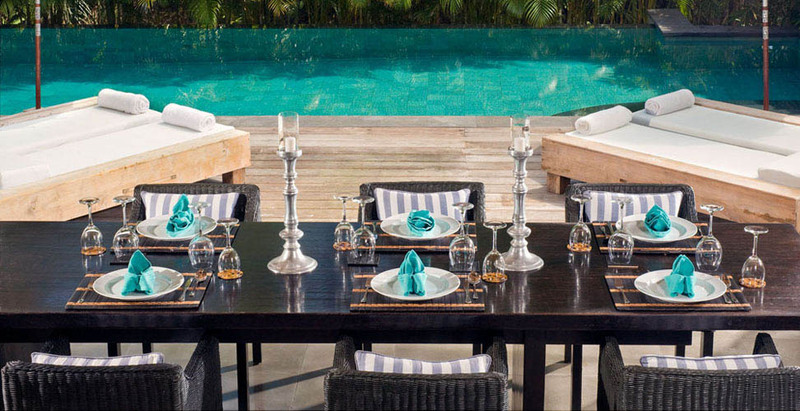 This team includes the villa manager, 2 butlers, a chef, 2 gardeners and 2 security guards. Besides, masseuses and babysitters are available on request. All is forecasted to release you for your daily obligations in order to maximize your comfort. 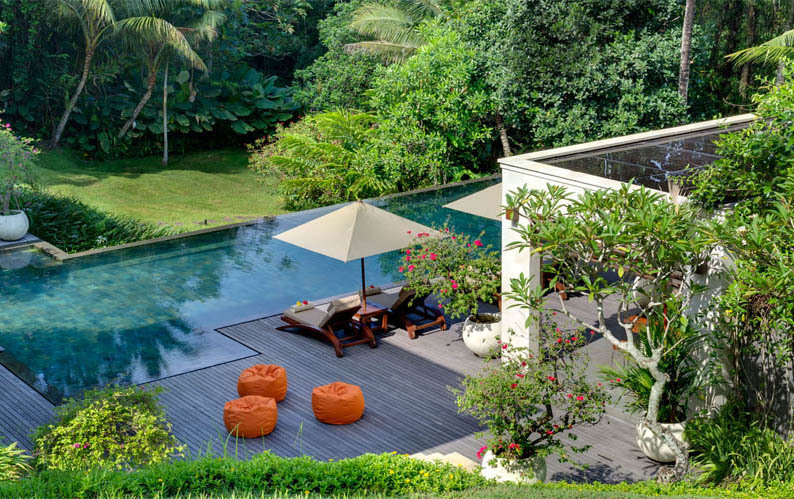 Furthermore Bali Je t'aime, a Bali villa rentals can organize activities, tours or even transport to put you away from any constraint for your best holiday. 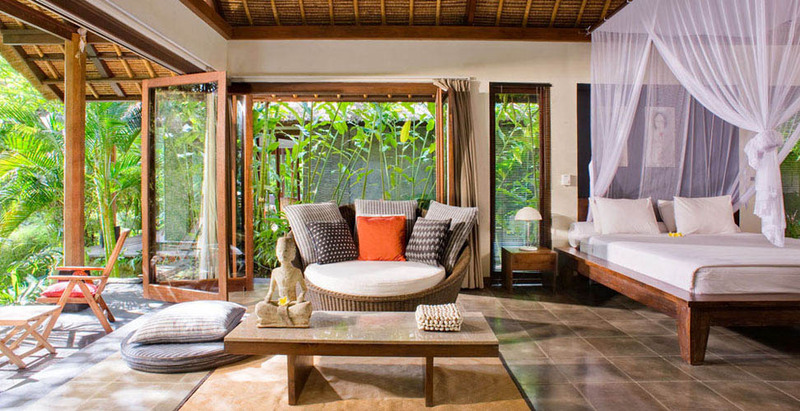 So, to rent villas in Bali will be easy and fun. 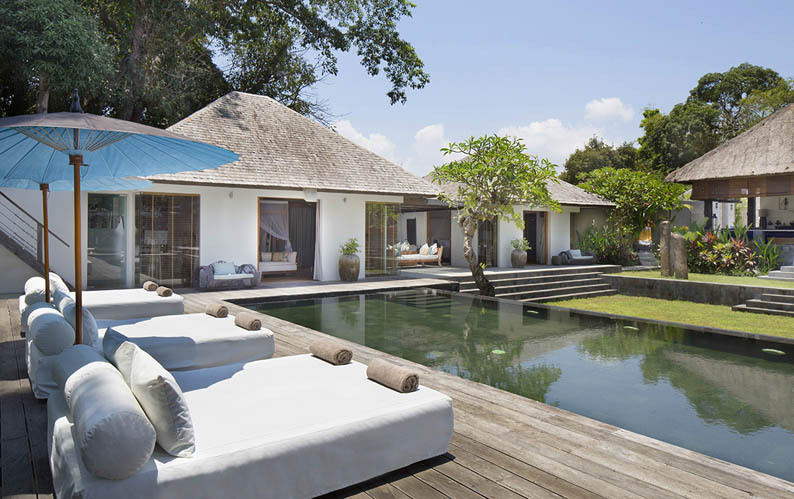 Located in the Tabanan district, this villa for rent in Bali enjoys an exceptional calm and tranquillity. This district is rural. 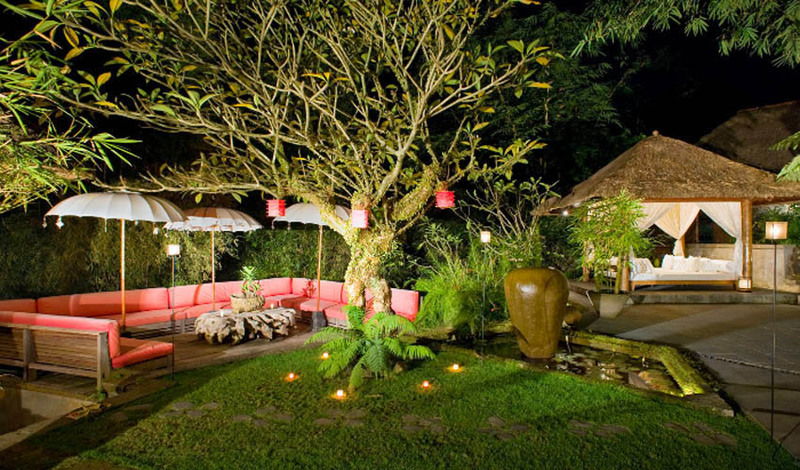 It offers the possibility to discover the Bali bucolic. 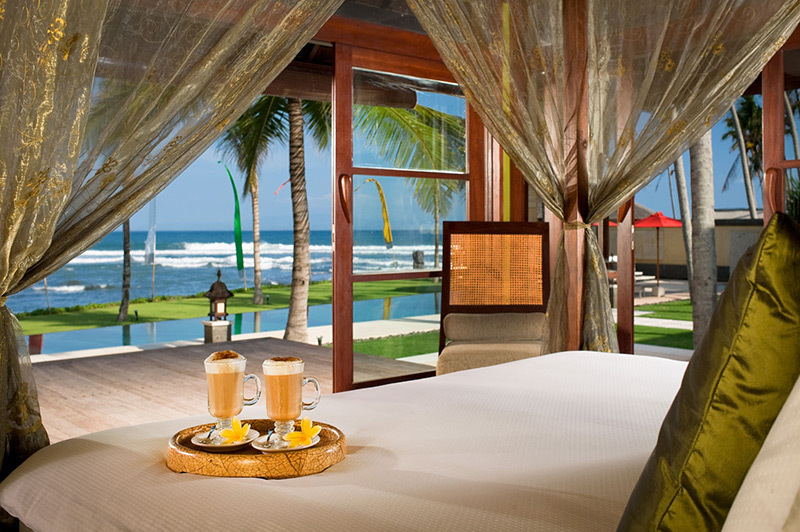 Likewise, it is near the Canggu district which is famous for its dream beaches. 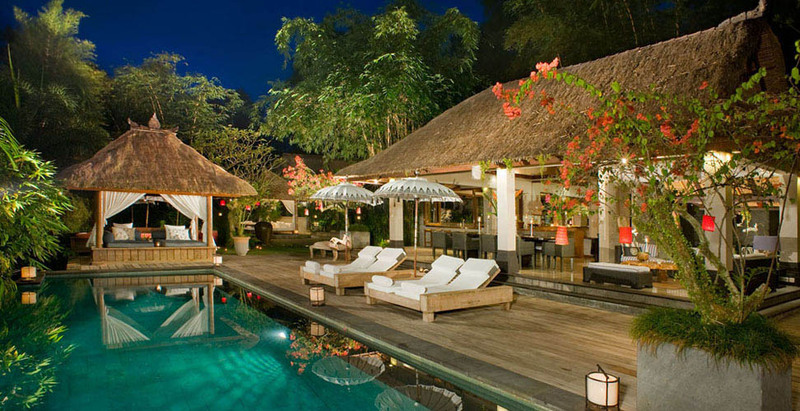 The more touristic areas of Seminyak and Kuta are also easy to reach by car. 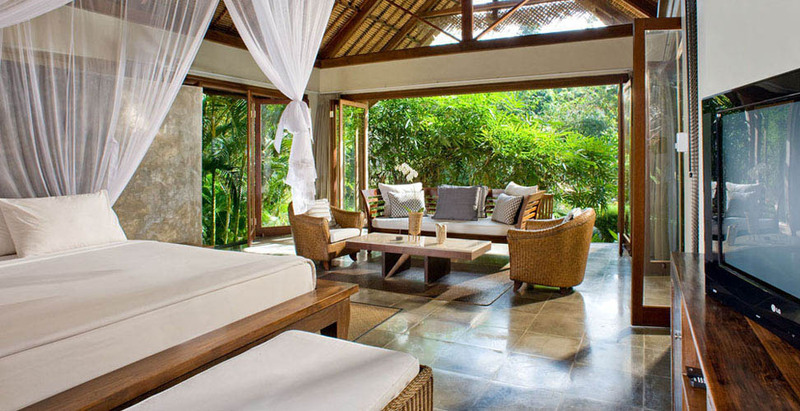 The villa Maya Retreat is a stunning property. 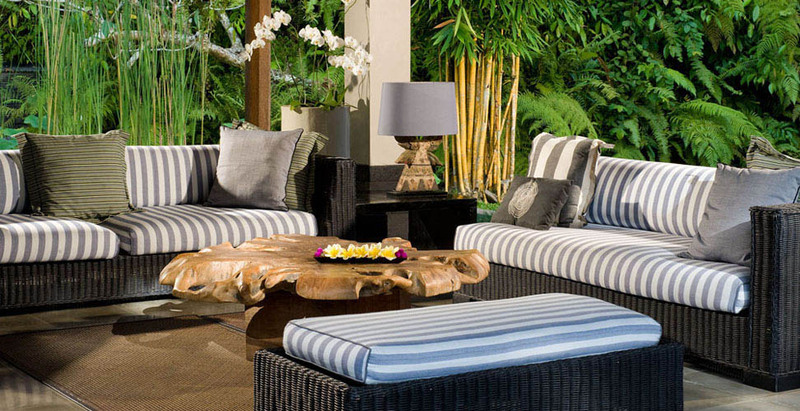 Providing all the comfort elements, it will satisfy all your family or friends. Furthermore, it fits perfectly in its surroundings. 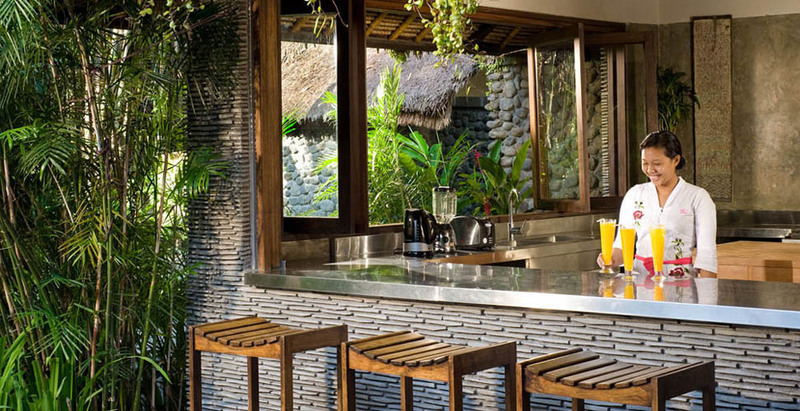 This last one will break your habits in order to have a memorable stay. 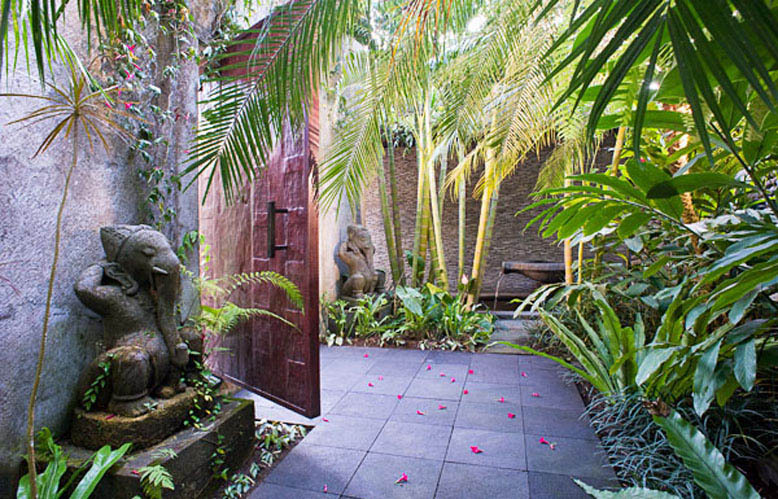 You will be in the best conditions to appreciate the island of Gods.